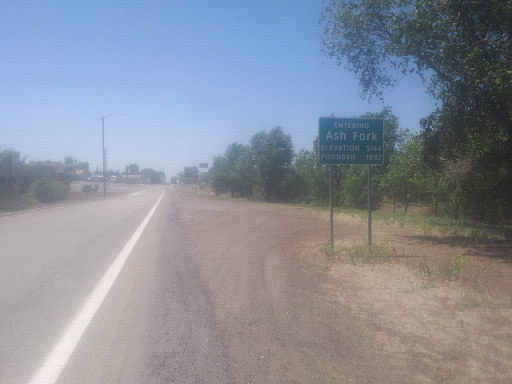 USA on a Bicycle: Arrived in Ashfork, AZ! This is a nice little city. We're now looking for a place to have lunch on. We want a local place, not a chain restaurant. Let's see what we can find! On the way to Seligman, AZ!